Park Farm’s setting makes it a perfect day trip from anywhere in Eastern Iowa, Northwest Illinois, or Southwest Wisconsin. A beautiful twenty-minute drive west of Dubuque transports you to a time and place that many cannot conceive as existing in modern-day Iowa…that is, until they experience it for themselves. 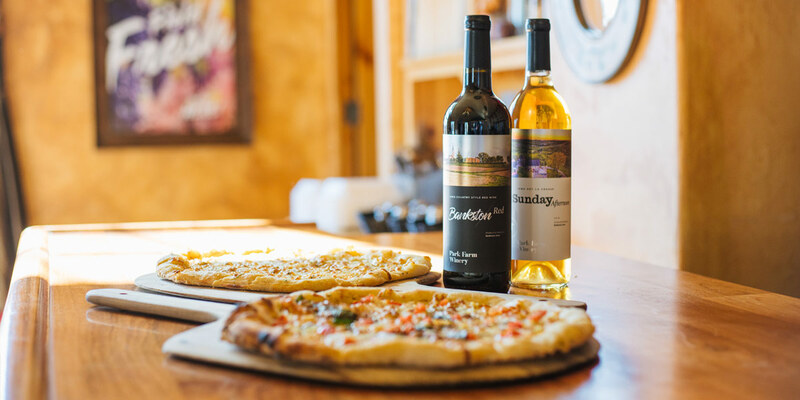 The chateau-style facilities, together with the surrounding vineyards, pastures and woodlands, evoke an old-world charm that perfectly complements our hand crafted artisan wines, making Park Farm a must-experience Midwest destination. 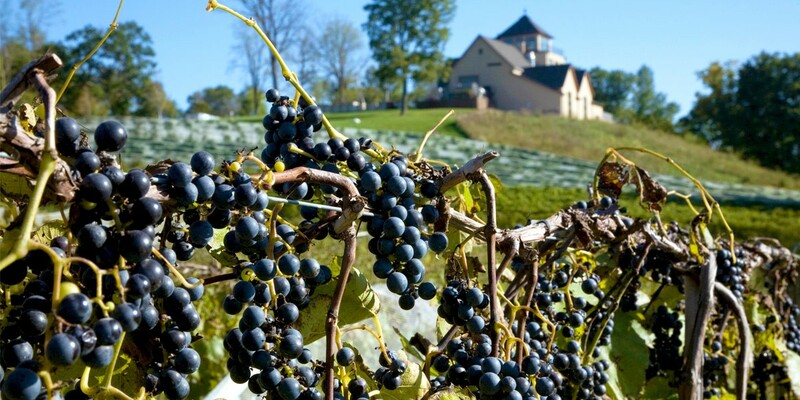 Park Farm’s eleven-acre estate vineyard grows specific ‘cold climate’ grape cultivars – from Old World French-hybrids to several newer developments at the University of Minnesota that produce great wine and withstand the harsh winters of the Upper Midwest. Our grape cultivars are also able to produce ripe fruit within the constraints of Iowa’s shortened growing season. This is why guests are often unfamiliar with our grapes’ names. Cultivars like Chardonnay and Cabernet Sauvignon are simply unable to survive or produce quality fruit in our region. We grow four grape cultivars for white wine – LaCrosse, LaCrescent, St. Pepin and Frontenac Gris – and two red grape cultivars – Maréchal Foch and Marquette. We also contract with other growers in the Upper Mississippi River Valley AVA to source, St. Croix, Frontenac and Leon Millot. A tasting room and retail shop that are open year round. Tastings are intimate and informative, as our tasting staff is both well versed in Park Farm wines and knowledgeable of the worldwide wine industry. 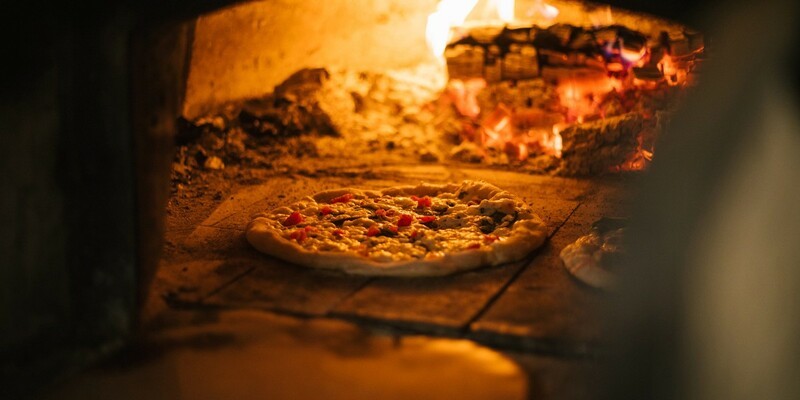 Gourmet wood-fired pizza, baked in our on-site brick oven. Park Farm’s newest addition was made with the ever-growing "foodie" culture in mind. Our gourmet pizzas are made to-order, with over twenty toppings to choose from. Park Farm has set itself apart as one of the Dubuque area’s top picks for event hosting. We offer various rental spaces that can perfectly accommodate anything from an intimate dinner party to a 200-guest wedding reception. With an on-site catering kitchen, we offer special deals with local caterers whom we feel are exceptional at their craft. 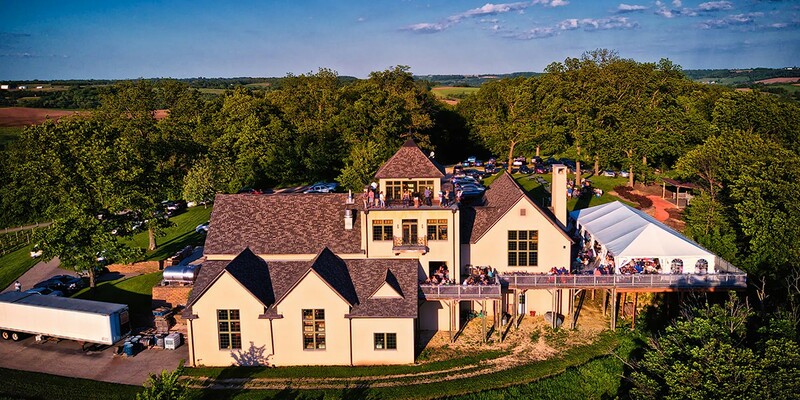 Past events held at Park Farm have included wedding ceremonies and receptions, rehearsal dinners, showers, birthday and anniversary parties, benefits, and charity fundraisers.